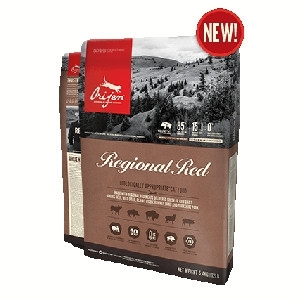 With 40% richly nourishing protein, and a limited 17% low-glycemic carbohydrates, ORIJEN nourishes cats of all breeds and life stages according to their evolutionary and biological needs. 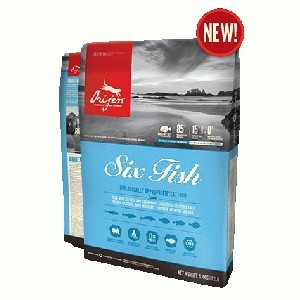 With 40% richly nourishing protein and a limited 16% low-glycemic carbohydrates, ORIJEN SIX FISH nourishes all breeds and life stages according to their evolutionary and biological needs. 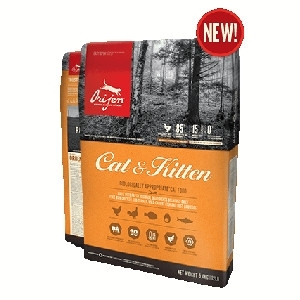 With 40% richly nourishing protein, and a limited 19% low-glycemic carbohydrates, ORIJEN nourishes cats and kittens according to their evolutionary and biological needs. 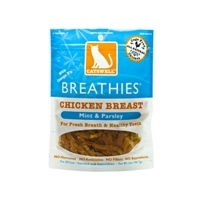 All Catswell products are made from premium, natural ingredients with one catch - unlike most food available for pets, Catswell products come in a variety of functional formulas that are healthy for your cat. All Dogswell products are made from premium, natural ingredients with one catch - unlike most food available for pets, Dogswell products come in a variety of functional formulas that are healthy for your dog. BLUE Basics Grain-Free canned cat food is formulated to minimize the food sensitivities that some cats may have, while maximizing the nutritional value they will receive. 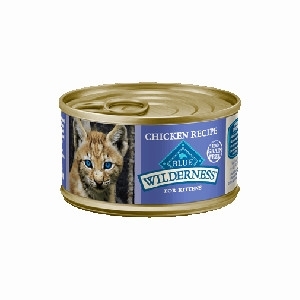 Inspired by the diet of the lynx, BLUE Wilderness Chicken Recipe is a high-protein food that will provide your cat with a higher concentration of the chicken she loves. 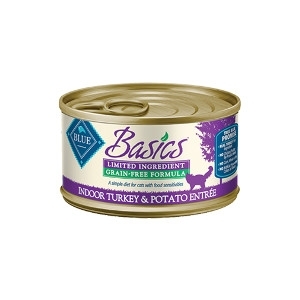 BLUE Wilderness natural cat food is also a sensible alternative to less convenient raw diets, which often require additional supplementation to be nutritionally complete. 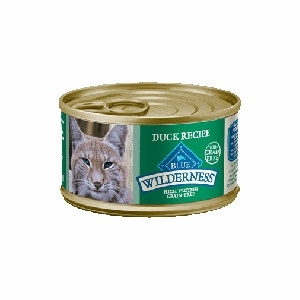 For cats that show signs of being sensitive to some of the ingredients used in traditional pet foods, less may be more. BLUE Basics is a healthy, holistic, limited-ingredient diet formulated to minimize food sensitivities while maximizing the nutritional value that your cat will receive. 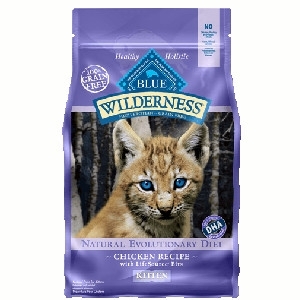 Inspired by the diet of the lynx, a tireless hunter and wild relative of our domesticated feline friends, high-protein BLUE Wilderness contains a higher concentration of the delicious chicken you know your cat will love. 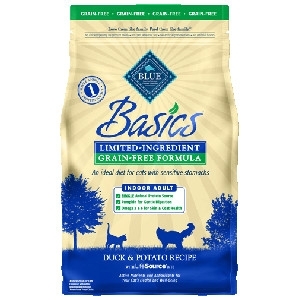 And because BLUE Wilderness is made with no grains, it's also an ideal choice if you prefer to feed your cat a gluten-free diet. 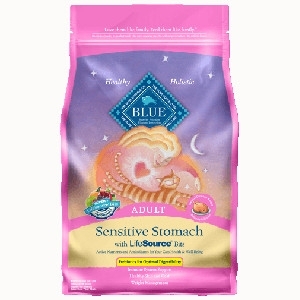 Our naturally healthy BLUE Sensitive Stomach cat food is specially formulated to help support digestive health, while providing the important nutritional benefits you’ll find in all BLUE cat foods. 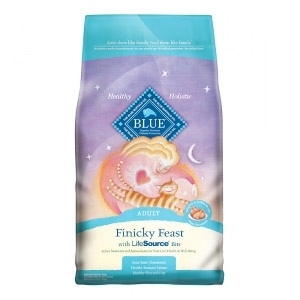 BLUE Finicky Feast Adult cat food is holistically formulated with enhanced taste and flavor in mind. 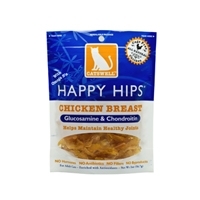 With succulent natural chicken and turkey as the first two ingredients, even the most discerning feline palates will love it...guaranteed! Inspired by the diet of the lynx, BLUE Wilderness Duck Recipe is a high-protein food that will provide your cat with a higher concentration of the duck she loves. 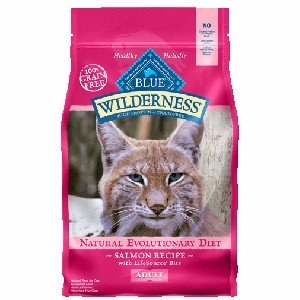 BLUE Wilderness natural cat food is also a sensible alternative to less convenient raw diets, which often require additional supplementation to be nutritionally complete. © 2019 Huron Pet Supply. All rights reserved.